In Israel, Prime Minister Benjamin Netanyahu has fired his foreign minister and justice minister, and now the Knesset, which is the parliamentary body of Israel, is set to hold early elections in March 2015. This is more or less seen as an attempt by Netanyahu to consolidate power by tossing out so-called centrists. Netanyahu’s party of Likud and the party of his economic minister, Naftali Bennett, Jewish home, are considered the likely beneficiaries. Joining us now to discuss this is Max Blumenthal. He’s an award-winning journalist and best-selling author. His latest book is Goliath: Life and Loathing in Greater Israel. Thanks for joining us, Max. So, Max, why is it that Prime Minister Benjamin Netanyahu fired two ministers in his government? 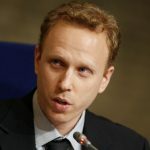 MAX BLUMENTHAL, AUTHOR, GOLIATH: LIFE AND LOATHING IN GREATER ISRAEL: Well, most immediately, Netanyahu fired Tsipi Livni and Yair Lapid, who represent–Livni represents a very marginal party, which is considered centrist or even liberal. And Lapid’s party, Yesh Atid, was the junior partner in Netanyahu’s coalition. But the most immediate reason was that Livni and Lapid had expressed flagrant opposition to Netanyahu’s Jewish nation-state law, which in Netanyahu’s words would provide national rights to Jews only and beyond that would make the Hebrew prophets and, quote-unquote, Jewish tradition a source of legal and judicial authority in Israel. It would downgrade Arabic as–which is currently one of the official languages of Israel, and it would really bring into the open Israel’s ethnocratic character, which has always existed and been present since 1948. But Lapid and Livni warn that this was just weakening Israel’s diplomatic hand. 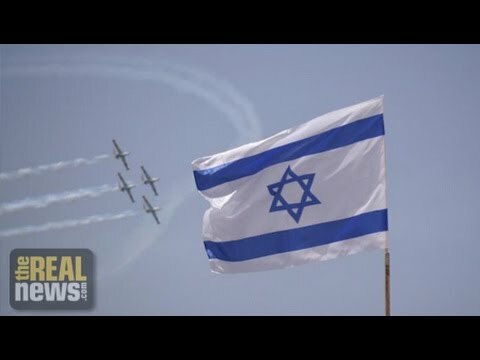 It was casting aside its image as the only democracy in the Middle East, in order to consolidate a Jewish sectarian identity, which is the complaint of so many liberal Zionists, liberal supporters of Israel, who’ve been protesting this law. So for kind of obstructing the passage of this law, Netanyahu fired them. Netanyahu needed to pass this law in order to mollify the younger, more right-wing members of the Likud Party and to mollify Naftali Bennett, his economics minister, who is the head of the Jewish Home Party, which is the big winner of Israel’s war in Gaza. The Jewish Home Party has gained in polls at least five seats since the war, because they took the hardest line on Palestinians, and because Bennett, who is also a younger right-winger from the post-Oslo generation, rejects the concept of a two-state solution. Bennett was pushing for a full reoccupation of the Gaza Strip, which was popular among Israelis, even though it might have created a kind of Stalingrad type situation. So all these factors are playing into a tailwind for the extreme right wing in Israel, and in the next coalition it looks likely that it could be the most right-wing coalition in Israel’s history after two very right-wing coalitions. WORONCZUK: So, Max, let’s talk about the two parties that are poised to win in the early elections. That’s Likud and Jewish home. What’s their base of public support? And what issues will they be campaigning on? BLUMENTHAL: Well, the Likud Party is the largest party in Israel, and it’s been pretty much a dominant party since 1977. It triumphed in 1977 mainly because Menachem Begin, who was the prime minister at the time, was able to appeal to the Mizrahi public, the group Israelis who come from Arab nations who had always been discriminated against particularly by the Ashkenazi-dominated Labour Party. Golda Meir said that when they protested for economic rights, that they were not nice boys, and that real Jews have to speak Yiddish. So they felt discriminated against. And Begin played to that much in the way that the Republican Party has catered to the sentiments of Southern whites and playing off their resentment of African-Americans and the resentment of Northern liberals. And so in the Israeli situation: Palestinians take the position of African-Americans. And the Ashkenazi elite, who took control the Labour Party, take the part of Northern liberals. Then there is the settlement movement. The Likud Party has aggressively planted settlements in the West Bank. Ariel Sharon–this is Ariel Sharon’s legacy. And the settlements take–function as a kind of form of social welfare in Israel, because life in the core cities has become so expensive, it’s just very easy to live in the settlements. And that’s where the Likud Party has dumped a lot of government money. So they have a strong support base there. And then Netanyahu wins over the middle class with his narrative of Bitachon, or security, that he’s going to take the hardest line against the Palestinians, and at the same time he’s going to maintain U.S. diplomatic support because he speaks great English, because he went to college at MIT and knows the American scene. He’s basically a Republican neocon. So all of these factors have kept Likud in power. And then, beyond that, the collapse of the peace process, the collapse of the Oslo era, which is the Labour Party’s legacy, has left Israelis with nowhere else to go but Likud. And Likud now in many ways is filled with extreme right-wingers. And then there’s the Jewish Home Party, which is a religious nationalist party led by Naftali Bennett. Israelis refer to him as Brother Naftali. He’s in his 40s. He’s a tech industry millionaire. So he kind of represents the Israeli dream. And he also served in an elite unit in the army. He said, I’ve killed lots of Arabs, and there’s nothing wrong with that. He was in operations in Lebanon. And so he’s revered. He wears a kippah. But he doesn’t live the settlements. However, he represents in many ways what the settlers want, and he consistently takes a harder line than Netanyahu on anything related to the Palestinians or to the settlements. So he, along with Avigdor Lieberman of the Russian-oriented Yisrael Beitenu Party, which is a secular far-right party, they’ve aroused Netanyahu’s latent radicalism, his latent fanaticism, and forced him to bring about as he occupies the hollow center of Israeli politics, through bills like the Jewish nation-state law. WORONCZUK: And, Max, also talk about the parties of the two fired ministers. Why is it that they are unlikely to have any electoral success? BLUMENTHAL: Since the end of the Oslo era, we’ve seen these parties come and go that win a number of seats and play a pivotal role in elections but aren’t real parties. The first of them was the Kadima Party formed by Ariel Sharon, which he needed in order to win Knesset approval for the withdrawal from the Gaza Strip. And it was really a collection of random politicians from across the political spectrum who had just agreed with this one initiative of his. Tzipi Livni, who was a former aide to Sharon from the Likud Party, came out of the Kadima Party–and she now has just a handful of seats in the Knesset. Very few people are willing to stand behind her. The only reason she’s in this government is to provide diplomatic cover because the foreign minister, Avigdor Lieberman, is such a blunt-spoken extremist that someone like Livni, who’s–used to be the great white hope of Israeli politics, is needed. Then Yair Lapid and the Yesh Atid, I mean, Yair Lapid is basically–he’s a TV personality with very little ideological core or foundation, and his party won seats because he had embraced a very hollow call for economic justice at a time when this was a big issue in Israel and the middle class was protesting over the price of cottage cheese and so on. And also over the draft. Lapid and Naftali Bennett of the far-right Jewish Home Party, had formed kind of a secret pact in order to push for a draft of the ultra-Orthodox. This was very popular in Israel among the secular and middle-class, and among religious nationalists, Orthodox who often live in the settlements and support the project of Zionism, serve in the army. So over these two issues, Lapid triumphed in the last election, became the junior partner. But they’re not major issues right now, and so Lapid’s been cast aside, and Netanyahu plans to replace Livni and Lapid with the ultra-Orthodox parties. Netanyahu has already come out and said that he will not prosecute ultra-Orthodox draftdodgers, which is incredible. It’s an incredible about-face. And it shows what Netanyahu’s priorities are and that he really doesn’t need any centrist parties at all. He can run an exclusively right-wing government, even if it’s unstable, because in a parliamentary system, the more seats you have in your coalition, the more stable your government is. This will be a fairly unstable coalition. WORONCZUK: Well, Max, I’d actually like you to respond to this comment that was made by Tsipi Livni. She said that the early elections are really about whether there will be a Zionist or an extremist country. And to me it seems like this comment really just demonstrates that the debate in the Knesset is really about the degree of discrimination against Palestinians in Israel and the intensity of the occupation. What’s your take? BLUMENTHAL: Well, and the debate is not about how intensely Palestinians will be discriminated against, how much they’ll be massacred. And that’s not what Livni means. I mean, we have to recognize that since 1948, the bulk of the violence committed against Palestinians has been carried out by the Labor wing of the Zionist movement, by the socialist wing of the Zionist movement. We have to remember that Tzipi Livni herself was the foreign minister during Operation Cast Lead, which was the first of these three incredibly brutal assaults on the Gaza Strip, and during which she said that I advised our troops that our troops behaved like hooligans, which I demanded of them. That was a direct quote by Livni. What Livni means is that Israel’s image would be damaged in the international arena by having a government exclusively of figures like Naftali Bennett, who don’t even pay lip service to the peace process, who don’t even–who were calling for an obliteration of the two-state solution and a full unitary apartheid state, in which Palestinian nationality will be completely obliterated. The success of Israel has always been to create new facts on the ground, building thousands of new settlement units, obliterating entire neighborhoods in the Gaza Strip, and ghettoizing Palestinians while calling for peace and holding negotiations with these kind of puppet leaders like the Palestinian Authority President Mahmoud Abbas. And in the new government, that fantasy of peace will be shattered, and the world will be forced to look at what Israel always has been since 1948, which is an ethnocratic apartheid state that engineers a Jewish demographic majority by force and denies Palestinians equal rights before the law. In other words, that’s not what democracy looks like. And Livni and figures like her and liberal Zionists need to maintain that illusion of a Democratic and Jewish state. WORONCZUK: Okay. Max Blumenthal, author of Goliath: Life and Loathing in Greater Israel, thank you so much for joining us. BLUMENTHAL: Thanks for having me.